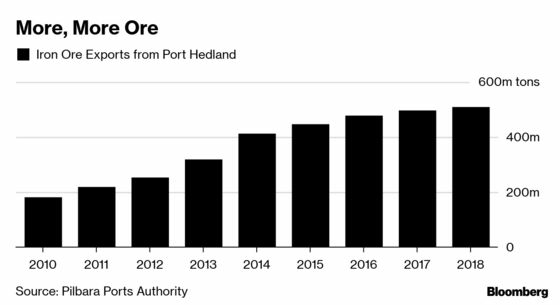 (Bloomberg) -- With a market facing a global deficit that was unforeseen at the start of the year, the world’s biggest iron ore export port is flagging a timely boost in shipments as Fortescue Metals Group Ltd. and rivals bring on new mines in Australia’s remote Pilbara region. 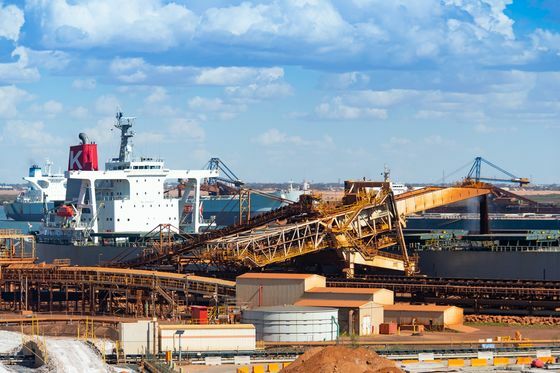 Port Hedland is preparing for higher volumes as Australian producers undertake a range of renewal projects, Johnston said last month. Fortescue said this week it will proceed with the $2.6 billion Iron Bridge project in Australia, adding the equivalent of 20 million dry tons a year of magnetite concentrate -- a high-quality product -- into the market with initial sales from 2022. 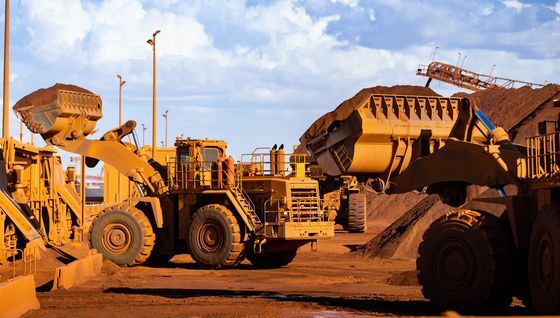 There are several projects currently undergoing feasibility studies -- including Brockman Mining Ltd.’s Marillana project, which are expected to commence production within the next five years, according to the Australian government. 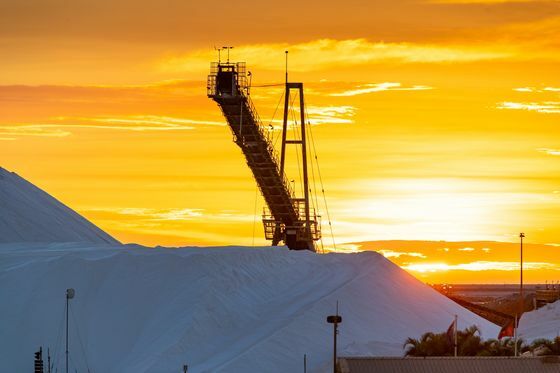 Australia’s export volumes are forecast to increase from 847 million tons in fiscal 2019 to 874 million tons in fiscal 2021, Australia estimated in its March quarter resources and energy report. The authority’s throughput totaled 699 million tons in total in fiscal 2018, including 654.7 million tons of iron ore exports. Prices of benchmark spot iron ore have rallied to hit a two-year high of $92.65 a ton, and futures in China have surged almost 40 percent this year.